CPPPH Guidelines Access Form Submitted | California Public Protection & Physician Health, Inc. Thank you for your interest in the CPPPH Guidelines. 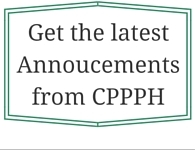 An email has been sent to you with a link to view and download the CPPPH guidelines. Please check your email and click the link provided.